Tough precision applications demand extraordinary precision tools. Since 1965 Precision Punch has been known for its superior precision grinding capabilities. Not only have we set the industry standard, but we continue to raise the bar on performance for mold components — from stock catalog items to the most sophisticated core and ejector pins. Every product we manufacture is built from the industry’s most extensive lineup of in-stock materials. Our precision ground parts meet the most demanding specifications for the most challenging applications. Our capabilities include diameters ranging from .004 to 1.25 inches, while holding tolerances down to .0001 inches and surface finishes down to 4 micro (Ra or RMS). 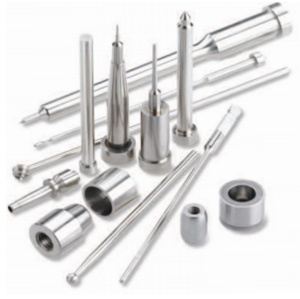 From inception to inspection, every Precision Punch product must meet our incomparable standards of design, materials, qualification, and inspection. Our commitment to excellence is unrivalled in the industry. While some companies simply meet the standards of medical manufacturing, we’re the company that set them!